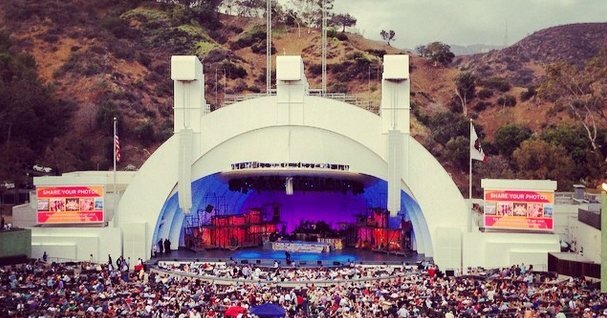 The Hollywood Bowl is perhaps L.A.’s most famous outdoor musical venue. Opened in 1922 in Hollywood, the Bowl at first remained largely undeveloped, utilizing only simple wooden benches and it’s natural appeal to stage performances. In 1926 an architectural firm was contracted to regrade the Bowl and the subsequent improvements, including permanent seating and upgraded stage awning, which more closely resemble what we see today. Over the years, the Bowl has been home to countless artists and acts of worldwide acclaim.